Left Birch Bay at 9:30 am and headed north through Frasier Pass. 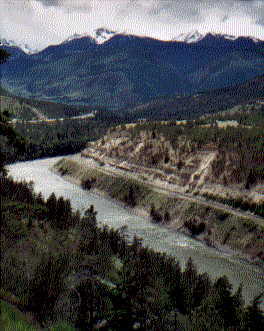 Huge mountains. Had hoped to drive further, but it was getting late so I stopped here at Cache Creek. On the way here I stopped at Hell's Gate Airtram and took the ride to the bottom. 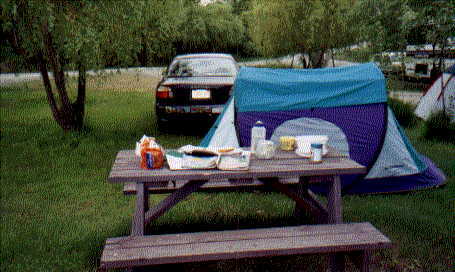 Above: Cache Creek, a family campground. 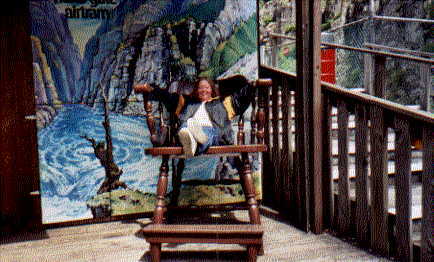 Left: At the bottom of the canyon, a young couple asked me to take a picture of them sitting in 'the big chair'. Then I asked them to take my picture in the 'big chair'. Above: A Frasier View. Looks like a post card. 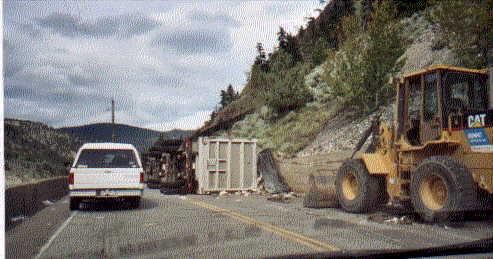 Above: An 18 wheeler jack-knifed. We couldn't pass until the heavy equipment made it's way up the mountain to move the truck. It took about 2 hours. Don't know if the driver was hurt or not. 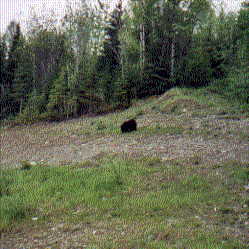 Right: Here's the first bear I saw. It was a lot bigger in person--really. Here it looks like a little, fuzzy dot.